What are the characteristics of the three Gunas? The entire world is the form of the three Gunas (attributes). It is a manifestation and a play of the three Gunas. The world is verily the embodiment of the three Gunas. Of the three Gunas, the Tamo Guna needs to be destroyed first. Tamo Guna means foolishness, stupidity and dull headed. Such a person questions each and every thing. We must first put a check on such a foolish mind and foolish arguments. We must enquire clearly into the things around us. We must then digest / assimilate the things that we have enquired into and understood. Only when we digest, we can acquire its strength. We must not get into an argument for every matter. These arguments only lead to increase in enmity but do not bring any peace. They can never show us the Truth. Thus, a Tamasic person can never recognize the Truth, nor can He attain Divinity or enjoy sacredness. Their life is always a saga of birth and death – Punarapi Jananam Punarapi Maranam – to be born again and to die again. The one with Rajo Guna will be very satisfied if his desires are fulfilled. If not, he becomes egoistic. If his desires are not fulfilled, he gets angry. Whether his desires are fulfilled or not fulfilled, it leads to only bad qualities. It does not yield the right type of fruits. Such people become dull and weak because of burning with anger and excitement. Rajo Guna develops qualities that will make a person’s blood “boil” (i.e. it leads to anger and restlessness). The third quality is Satva. This quality also binds. One would get fulfilment only when one offers the sacred fruits of such Satvic actions to God. Tamo Guna is identified with a particular colour. It is identified with black colour as it stands for darkness and ignorance. The black colour is a symbol of darkness. Rajo Guna on account of rage and restlessness, heats the blood in the body and progressively speeds up its circulation, resulting in a red coloured face. The eyes too become red in colour. Thus, red is the natural colour of Rajo Guna. Next the Satvic quality. This is totally and absolutely pure. The white colour represents this purity. Why is Rajasic Sadhana not desirable as a means to attain God? Once upon a time, King Vikramaditya donned the disguise of an ordinary man and toured around his kingdom. An old Brahmin was performing a Yajna (sacrificial offering) in a particular region. It was not clear as to how long the Brahmin was performing the Yajna, but the sacred ash coming from the sacrificial fire had piled up like a big hillock. The sacred ash of the Yajna appeared like big mountains. King Vikramaditya saw this. He asked, “Swami, what is this task you are performing?” The Brahmin replied, “Son, I am performing Yajna since the last 60 years. All this ash is the dust rising from the Yajna. For the last 60 years I have been performing this difficult Yajna without taking rest even for a second. But I have not been able to win the grace of the Yagna Purusha (Cosmic being who presides over the Yajna). I have not been able to see His form. I am far removed from His Grace”. Saying so, the Brahmin lamented. King Vikramaditya’s heart melted, watching the difficulties undertaken by this Pundit (priest). King Vikramaditya sat in meditation. He performed a very difficult penance. Inspite of performing the penance for a very long time, the Yajna Purusha did not manifest Himself. The king then asked himself, “What is the benefit of all the Sadhana (spiritual practices) that I have carried out? Why continue this life of mine that has not been able to earn the Grace of the Lord?” He drew out the sword carried by him in his robes. “What is the use of my life? Is life only about eating, living and growing one’s body every day? No, this is not the purpose of life. The supreme goal of my life is to see God.” Thinking so, he said, “O Yagna Purusha, as you did not give me your Darshan (holy vision), here I am offering my life to you”. Saying so, he drew out his sword whole heartedly. The Yagna Purusha manifested instantly. 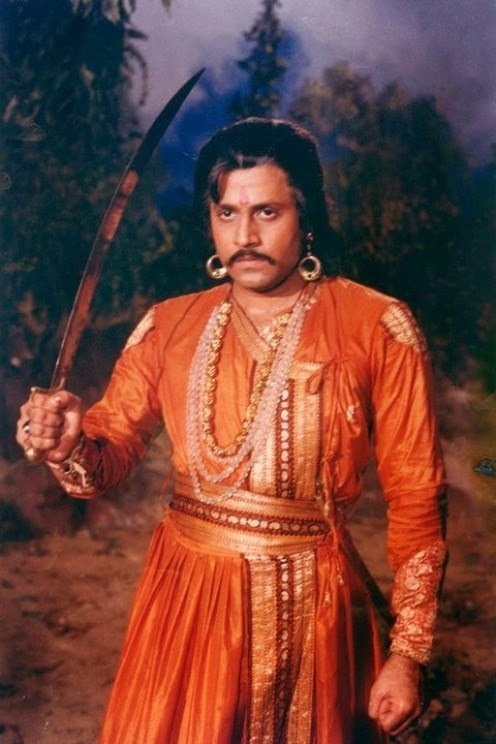 He took away the sword from the hands of Vikramaditya. The Yagna Purusha said, “Vikramaditya, this is only Sahasa (courage or adventure) but not Sadhana (spiritual practice). Where am I? (I am in the form of Vaishvaanara in your stomach and am digesting the four types of food eaten by you). I am existent right within you (as Vaishvaanara – the digestive fire). On one hand you are attempting to kill Me (by killing yourself) and on the other hand you are attempting to realize Me (the one residing within you); is this the characteristic of Sadhana (spiritual pursuit)? I am right within you. This approach is only Rajasic (extremely active, excitable, or passionate) courage but not Sadhana. Devotees should never venture into such adventurous acts (in the name of Sadhana). The path to realize Me is the path of Love and not the path of adventure. Who is the true friend with whom we must make friend? The one who has love, the one who aspires for Divine Love, he / she is My real friend. But today’s friends act in a contradictory manner. When there is money in the pocket and when father is in a good position, hundreds of friends come to you saying “Hello, Hello, Hello”. But when there is no money in the pocket and when father has lost his position, they would not even tell you goodbye! Is this friendship? God is not like that. God is always with you, in you and around you. We should acquire such a good friend. Therefore, the real friend is God! We must try to associate ourselves with such a permanent friend. Birthday Message-When can one be truly happy? This morning when I came downstairs, all My boys told Me, “Happy Birthday!” I told them, “I am always happy. You people who are not happy, must experience happiness”. Therefore when every human believes in his Divine principle, acts according to it and experiences it, he will always remain happy. Divinity does not reside in some separate region or land. Divinity is not any specific form. We must recognize the fact that that we are verily the Divinity that is omnipresent, resident in all beings, the Atma in all beings, all powerful and omnipotent. The subtlest among the subtle and the grossest among the gross, the principle of the Atma is verily Brahma and Brahma is verily the Atma. We must recognize this Truth. He is the one who has no birth or death; He has no beginning, end or middle; He is neither born nor does He perish nor can He be killed; He is the Truth that always exists and He is God. Everything that changes is associated with this physical body. Taking the body that changes as the basis, we must experience the changeless Divinity. All this Diversity is based upon Unity. This is what the scholars refer to as, “Ekam Sath Viprah Bahuda Vadanti” (Truth is One, scholars describe it in different ways. Though there is only One, several scholars describe it in several different ways. What Birthday Gift does Bhagawan expect from us? Embodiments of Divine Atma! I do not desire anything from you nor am I asking anything from you. Just develop the principle of Love. Consider the entire humanity as your brothers and sisters. Consider everyone as the child of God. Do not develop hatred or jealousy towards anyone. Do not cause pain to anybody’s mind. Such kind of broad mindedness alone will give vast happiness to our life. If we are all celebrating Swami’s Birthday today, then all you need to give Me is this one thing. All of you be united. Develop the ancient culture of Bharath once again. When I was coming here, so many people wished Me “Happy Birthday, Happy Birthday”. I am always happy, I do not need any happiness. Convey your Happy Birthday wishes to those who do not have happiness. I have infinite happiness. There is no day or a second, when I have been worried even for a moment. Why? Because everything is ephemeral; they are passing clouds. What is the use of worrying about such things? We should not worry, whatsoever, about birth or death. Neither should we get elated nor should we get depressed. When we are born, we do not bring even a tiny piece of cloth with us. When we leave this world, we do not give our address to our kith and kin. Then how can others belong to us? All these are consequences of being in this creation. So long as we are living, we should all mix with each other and spend our lives happily. We can put an end to all our problems only by thinking about (contemplating on) God. Forgetting God, believing in this world, what are you able to achieve? Have faith in God. Never develop differences on account of caste and religion and never develop hatred at any cost. All names and forms belong to God. All these are the Cosmic Form. Therefore, have faith in such Divine feelings. Remember the Divine name and sanctify your lives. How can we make Swami Happy on His Birthday? Embodiments of Love! You all are considering this day as the 69th Birthday of Swami. I do not have any such desires. As I was coming here, so many people wished Me, Happy Birthday, Happy Birthday! I am always happy. Why do you need to wish Me happy birthday? You be happy. Your happiness is My happiness. 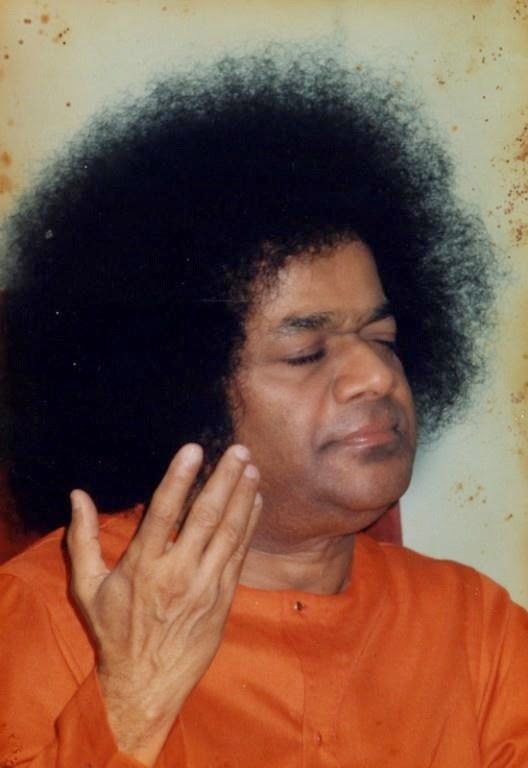 If you wish to be happy, then considering this as a gift to Swami today, offer three habits – consumption of non-vegetarian food, consumption of liquor and smoking; as offerings to Swami. By sacrificing these three, you will be fine, society will be fine and the country will also be fine. Why does Swami celebrate His Birthday? When you ask a student, “What Degree have you passed?” He may reply, “I have passed an M.B.A.”. Who has passed the M.B.A. programme? The degree is related only to the physical body. God has neither an M.B.A. degree nor a B.A. degree. God has no degree at all for that matter. There is only One and that is Nirgunam (attributeless), Nirmalam (pure) and Advaitam (non-dual). That is why God remains in bliss always. When I was coming here (to the Mandir), many people wished Me, “Happy Birthday!” You may please wish those who are not happy. I am always happy. I do not need your wishes of happiness. God is in eternal bliss. Swami does not like these birthday celebrations. But since you all have come here, this celebration is being organized for your satisfaction. I do not have any wish. You may believe it or not, but I do not have any desires. From head to toe, I am absolutely desireless. Whatever I do, it is only for you. Whatever I speak, it is only for you. You must recognize this Truth. I have no enemies. No one is My enemy. No one hates Me. All are Mine. I belong to everyone. That is why, “Lokaa Samastaa Sukhino Bhavantu” (May the entire world be happy). That is My wish. Everybody should tread along the noble path. Everybody should get a good name. We must consider everybody as the embodiments of the Atma. We too must experience the principle of the Atma. When is the Real Birthday of Bhagawan? Birthday is for this physical body. I have no birthday at all. Because you all have come here and because you all have this desire, I am regarding this as a birthday celebration. This birthday is not important for Me. That day when you all remain happy, is My real Birthday. I wish such happiness for all of you. It is this principle of Love that I wish for. It is this principle of sacrifice that I wish for. I need nothing else. My true happiness lies in seeing all of you becoming embodiments of sacrifice, bliss, spiritual aspirations and thus experience Divinity. You all must set an ideal with your life, full of peace and security. You must develop noble feelings in your heart, on this sacred and Divine day. Love is My Form-Truth is My Breath? Love has no limits. Love has no birth. Love has no death. You sing “My Form”. It is not just My Form (Swami’s Form). Whoever is singing, it pertains to his/her form. You must say to yourself, “Love is my form”. My form is Love, Truth is my breath. You must feel like this about yourself (not just about Swami). Only then, you will unite with the principle of Swami. “Love is My Form” – to regard this as God’s Form alone is of no use. “My life is my message, expansion is my life”. “My life is my message”; therefore, you are the messenger. If you consider yourself as the messenger, you must transform your life into the message. “No birth, no death”. There is no birth for Love, no death for Love. Therefore, only when you relate what Swami says to your own self, you will be able to reach the final state of “I and you are One”. In Vedanta, this is referred to as Tat Tvam Asi (That Thou Art) and Aham Brahmaasmi (I am Brahman). What is the easiest way to worship God in Kali Yuga? In those olden days there were no anxiety pills. Today, if there is any anxiety, you are given a pill (tablet) and that makes you totally dull. We must not take all these pills (tablets). What are the pills (tablets) that we need to take? We need to take the name of God. This is most important in Kali Yuga. 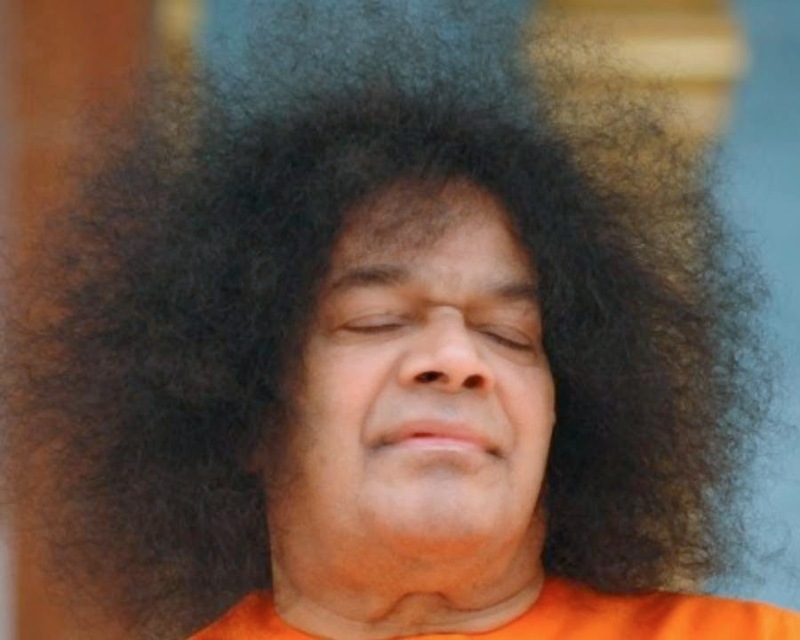 If we do Naama Smarana (chanting of the name of God), there is no medicine greater than this. Therefore, we must chant the name of God. It is only by singing the name of the Lord, we get peace, good fortune and joy. What is the mighty power in this age of Kali Yuga? Why is it that the kali Age is the mightiest and greatest among all ages? It is the chanting of the name of the Lord, which is the appropriate medicine. In Kruta Yuga, it was Dhyanam (meditation); in Treta Yuga, it was Yajnam (sacrificial rituals); in Dwapara Yuga, it was Archanam (worship) and in Kali Yuga it is Naama Smaranam (singing and chanting the name of God). What an easy path this is. Compared to Kruta, Treta and Dwapara ages, the Kali age has advocated a very easy path. However, we are not able to practice and follow even this easy path. We are unable to sit steadily even for two minutes. Then, how can we perform any Tapas (meditation)? This is not possible. That is why we must chant and sing the name of the Lord. One may take delight in yoga or bhoga, one may have attachment or detachment. All these are so trivial. What is this Yoga (spiritual practices), what is this Bhoga (pleasure)? All these are Roga (disease). Our Raaga (desire) is our greatest Roga (disease). We must not cross the limits of our Raaga. (Incidentally, Raaga also means melody or musical notes in music). There must be no wrong note in the music. Only then the music will be melodious and will fill the listeners’ hearts with feelings. Otherwise the same music will become stinking, full of foul smell. Therefore, we must first achieve beauty and order. We can acquire this only by thinking of God. We must chant the name of God, gradually pacifying all the bad qualities existing within us. There is so much joy in this singing. That is why God is referred to as Gaana Lola and Gaana Priya (lover of music). Narada and Tumbura always keep singing the name of God, staying near Lord Narayana. That is their job for full 24 hours. God in turn becomes intoxicated with their music. There is so much of joy in that singing. It attracts the mind. It makes us forget ourselves and delights our heart. It intoxicates everything with bliss. This is the great value that music has got. Even if we do not know the Shruti (pitch), Raaga (melody) or Tala (rhythm/beat), the song of yearning must emerge from an overflowing heart. There are three paths for remembering the name of God. We may pray to Him through words. We can say so in words or as prose. It just attracts our heart. There is so much of sweetness and bliss in songs. That is why, as Narada has no work, no family, no house; he always keeps singing Narayan, Narayan, Narayan. He keeps on chanting this name. In this age of quarrel and hypocrisy, the only means of deliverance is the chanting of the holy name of the Lord. There is no other way. There is no other way. There is no other way. One may take delight in yoga or bhoga, one may have attachment or detachment. But only he whose mind steadily delights in Brahman, enjoys bliss, no one else. Who is most dear to the Lord? We must always live in and with Love. Only such a person is very dear to the Lord. Yo Mad Bhaktaha – He is My true devotee (as stated in the Bhagavad Gita). The one who lives with Love and who aspires for Divine Love, he is My true friend. What is the permanent Visa that we must seek from God? (Swami in an address to devotees assembled from all parts of the world in Sai Kulwant Hall on Christmas day) So many of you have assembled here. Where have you all come from? Germany, Japan, Italy, France...you have come from so many countries. But, however happy you may be - staying here, once the money you have with you gets exhausted, you will have to return (to your nation). If your Visa expires, you will have to return to your country. You will not be able to stay close to Me. But staying with God should not be temporary like that. You must earn a permanent Visa. That permanent Visa is Grace! That permanent Visa is Love! Love! Love! Once you earn that Love, it will become permanent. Therefore, embodiments of Love, there is Love inside each one of you. You must develop that love. You must share that love with 10 other people. You must experience that love with 10 other people. Love is not one way traffic. Give and take, give and take, Give and take. Once we live like this, we do not need to go to any other Ashram. What should be our approach towards Death? When we make an attempt to understand the true meaning of words that have emerged in this world, we find that the word “Manava” actually relates to the Atma. Embodiments of the Divine Atma, you must have complete faith in the Atma (Self). Do not put your faith in the physical body donned by you. The body, mind, intellect, awareness, senses, inner senses; all these are mere instruments. They are like the dress worn by us. The dress also gets worn out at some time. Jesus also said, “Death is the dress of life”. We think it is death; but it is actually akin to removing your dress and wearing another dress. When we remove our dress and give it to the washer man for washing, do we cry? No. But then why do we cry (when someone dies)? We cry because we develop attachment with the physical body for a long time and experience bonding and relationship with it. Once we understand that these bonds and relationships are all temporary, we will never experience any sorrow (on account of death). Attachment is the root cause for all joy and sorrow. What should we have attachment for? We must have attachment for God. Relationship with God will never undergo any change. That is eternal and true. Hence, we must believe that we are forms of the Divine. Aham Brahmaasmi (I am Brahman), Tat Tvam Asi (That thou art), Prajnaanam Brahma (Awareness is Brahman), Ayam Atma Brahma (I, the Atma is verily Brahman) (these are the four Mahaavaakyas – aphorisms found in the Vedas). I am Atma, I am Brahma. We must develop such feelings. What is true-Waking state or Dream state? Everything is Maya (illusion). In this waking state we listen to everything, see everything and experience everything. After we go to sleep, we get drowned in a dream. Where is this waking state in that dream state? The waking state is completely forgotten. We consider and believe the dream state to be true. But for how long does the dream state last? Once the waking state dawns, we neglect the dream state. Is that true or is this true? This is a day dream and that is a night dream. Therefore, both are verily dreams. Once upon a time, King Janaka, the one of great wisdom, a Karma Yogi, a Videha (the one without body attachment); had his dinner at night and was discussing some matters with his ministers. He suddenly felt very sleepy. In order to avoid any inconvenience to him, a cot was laid there and he was made to sleep. (“Janaka had a vivid dream in which neighbouring kings had invaded his kingdom and driven him into the forest. He was wandering as a destitute in the forest. He was overwhelmed with dejection and hunger. He began shouting, “I am hungry! I am hungry!” Some tribals were nearby, eating rice. He ran to them. The tribals gave him a leaf as a plate and shared their rice with him. All of a sudden an eagle swooped down upon the leaf and scattered the rice on the ground. Janaka screamed in anguish. At this point Janaka really started screaming in his sleep…”. This is an extract from the Divine Discourse delivered on 21-05-1995 and is included here to make the narration complete. The audio for this extract is not available). Finally, they summoned Sage Vashishta. He saw the Truth through his Yogic powers. He told the king, “O King, neither is that true, nor is this true. It is only you who are true. You experienced certain things in the dream. You also experienced certain things in the waking state. In the waking state, there is no dream and in the dream state, there is no wakefulness. But you are there in the waking state and you are there even in the dream state. Therefore, you are Truth. Thus in wakefulness, there is no dream and in dream there is no wakefulness. You are the one who has had experience in both the waking state and the dream state. So, you are omnipresent. Therefore, human life is omnipresent; it is Divine life. What are the three primary truths expounded in the Upanishads? Aham Brahmaasmi (I am Brahman), Tat Tvam Asi (That thou art), Prajnaanam Brahma (Awareness is Brahman), Ayam Atma Brahma (I, the Atma is verily Brahman) (these are the four Mahaavaakyas – aphorisms found in the Vedas). I am Atma, I am Brahma. We must develop such feelings. I am so and so, I am a man, I am Ramaiah, I am Krishnaiah – we must not go by such cheap bodily feelings (illusion). Who gave birth to (gifted) this body? It is our parents. Who gave a name to this body? It is our parents. The name is only given and not born (with you). But there is one, which is neither born nor does it die. That is the Atman (Self). Based on this, the Upanishads have preached three paths (to the Truth). The Upanishads advised mankind to correctly recognize these three. That which, once it comes, it never goes. What is this? This is Jnana (wisdom). Once it comes (dawns), it never goes. That is true Jnana. That which comes and goes away can never be Jnana (wisdom). That which, once it goes, it never comes. What is this? This is Ajnana (ignorance / maya). Once ignorance is gone, it will never come (envelope us) again. If it keeps coming and going, coming and going, then it is only birth and death, birth and death. There is no second option here. Once it (ignorance) goes, it will never return. Then, there is the third one, which is most important. That which never goes and never comes: that is the principle of the Atma (Self). I also gave a small example for this in Kodaikanal. There is a physical body. Some people question: after the physical body dies, where does the Atma go? Where to and how does it travel? Many have such doubts. After the death of the physical body, where does the Atma go? How long does it hover around? When will it return and enter a physical body again? These all appear to be ridiculous / humorous questions. You have the current wire. Once you connect a bulb, you get the light. If you disconnect the bulb, the light is gone. The bulb was brought and taken away. Even before the bulb was brought and connected, the current was there; even when the bulb was connected the current was right there and even when the bulb was disconnected and taken away, the current remained there only. The current has neither come from anywhere nor will it go anywhere. The current always remains there only. In the same manner, the body has come and it will go. The Atma has neither gone anywhere nor has it come from anywhere. It is right there. It can go only if there is some other place (where it is not), is it not? If I have to go somewhere outside, there should be a geographical space called “outside” (with reference to my space), is it not? But, there is no “outside” at all. Which is the true Head Office of God? The permanent address of God is our Heat!! Where My devotes sing from their heart, I install Myself at that very place. Kailasa, Vaikunta, Heaven, all these are just branch office addresses. The permanent office is only one and that is the seat of the (human) heart. Therefore, if we ask “where is God?”, the answer is, “He is in our heart”. Draupadi prayed to God in so many ways (when she was being humiliated by the Kauravas in the court), “Hey Dwaraka Vaasa”, “Hey Brindavana Sanchaari”, “Hey Mathurapura Vihaari”. But in whatever way she prayed and glorified God, Krishna did not appear there. Finally, she got exhausted. Her voice too faded away. She cried out “Hey Hrudaya Vaasi” and dropped down. Immediately, Lord Krishna manifested there. Sometime later, when she could meet Krishna alone, she asked Him, “Brother, the other day when I was humiliated so badly, though I called out to You so many times, why did You not come?” Krishna replied, “Yes, I did not come. Do you want to know the reason? You called Me, “Hey Dwaraka Vaasi”. Though I am so close to you, to make your words come true, I had to go all the way to Dwaraka and come from there. In those days, were there any helicopters or aeroplanes? No. Therefore, you did pray in many different ways. When you called out “Brindavana Vihaari”, I had to go to Brindavan and come back. Else, your words would not be true. To make your words come true, I had to go there and come and hence the delay. Finally, when you called Me “Hrudaya Vaasi”, I came instantly. I was right there and so I appeared immediately. Therefore, God has to make many modifications just to make the words of the devotee come true. When you called Me, “Brindavana Vihaari”, if I were to not go there and come, there would be no truth in your words. Sathyam Kantasya Bhushanam (Truth is the ornament for the neck). Truth is the jewel for the neck. To make you the embodiment of truth, I had to do go through all this. Therefore, God dwells in our heart. Where else is He? We can never get Him anywhere as close as this. God is closer to us than our very mother. The mother may also be far away for some time, but it is impossible for God to be away from us. There is nothing like “distant” for Him. In other words, you are verily God. What is Jnana (wisdom) and how can it be achieved? What is Jnana (wisdom)? There are many types of Jnana. Loka Jnana (worldly knowledge), Bhautika Jnana (physical knowledge or knowledge of the physical world), Samanya Jnana (general knowledge). But what we are referring to here is not knowledge of the physical world. It is Atma Jnana (knowledge of the Atman). It is not mere pursuit of knowledge or enquiry of the physical body, senses, objects or nature. When we enquire into mere physical objects of the world, we acquire only worldly knowledge of the physical world. It is only when we go deep and enquire into spiritual matters that we can acquire knowledge of the Atman to some extent. Atma Jnana cannot be taught by a Guru nor can it be acquired by reading scriptures. It is not an object that can be taken or given by anybody. It has to emerge from within. However, the Guru or the scriptures can teach to some extent. But for the one who wishes to practice it, to seek the experience, he/she has to enquire within. Enquiry or self-introspection has to be carried out. A critical investigation has to be done. A mother has a child. To teach the art of speaking to the child, the mother utters the words “Amma” (mother), “Appa” (father) with her mouth. The child looks at the mouth of the mother and learns to speak the words “Amma’ and “Appa”. This is the way the child has to learn. The mother cannot put her mouth into the child’s mouth and make it speak “Amma”. In the same way, the Guru, through the scriptures, the Vedas and the Upanishads; can speak about the matters they have heard or known. But eventually, Jnana has to be sought and manifested from within. What is this Atma Jnana? Advaita Darshanam Jnanam (vision of non-duality is wisdom). It is the perception of Unity in Diversity. Thousands of people are sitting here in this assembly. The names and forms of all these people are different. But we must recognize the Truth that the principle of the Atman is one and the same in all. We must very clearly recognize the Truth that the Omnipresent Divinity in the form of Awareness is only One. It is not about merely uttering in words. It must be brought into our experience. Only such a Jnani (wise one), will be blissful forever, all the time. Only the one who has acquired such bliss can be called a Jnani. To acquire the high level of a Jnani, first of all we need to cross the levels of Karmopaasana, i.e. Karma (action) and Upaasana (worship). It is impossible to become a Jnani without following the path of Karmopaasana and achieving success in it. How is this possible? We call a student as a B.A. graduate. What is the inherent meaning of calling one as a B.A. graduate? It clearly implies that this person has cleared his school and intermediate studies. One cannot come to B.A. level without passing in school and intermediate finals. In a similar manner, we call an individual as a youth. When we call one as a youth, it is very clear that he has crossed childhood, boyhood and then come to be a youth. One can never be a youth without crossing the levels of childhood and boyhood. When we take a fruit and identify it as a ripe fruit, it means that it has first been a bud and a raw fruit and only then come to be a ripe fruit. Without first being a bud and then a raw fruit, it can never become a ripe fruit. In the same way, one may call himself a Jnani. This is only a Vedanti (wise one) by words not in reality. A Jnani is always in bliss. Are there any such indications? Has such a person crossed the stages of Karma (action) and Upaasana (worship)? Without crossing these two, how can one become a Jnani? This is impossible. That is why the Vedas propagated the Karma Kanda (path of action), Upaasana Kanda (path of worship) and the Jnana Kanda (path of wisdom) in sequence, one after the other. The three paths were propagated to realize the oneness of God. It has rained. What is the indication that it has rained? The ground must be wet. Without the ground becoming wet, if one says it has rained, this cannot be true. One may say he has developed fever. If so, the body must be hot; there must be some sign of fever. At least the thermometer must show a rise in temperature. However, without all this, if one says, he has developed fever, then this is only a stunt. On these lines, today many claim and declare themselves to be Jnanis. Such Vedantins are on the rise today. Among such Vedantins, it is not possible to recognize even one genuine Vedantin among crores of them. Thus, in order to acquire such Vedanta (wisdom), first of all we must enter the path of action. Along this path of action, we must perform sacred actions. We must consider all our actions as an offering to the Lord. However, if one performs only those actions of one’s choice, and assumes that to please the Lord, it is of no use. We must keep aside our likes and dislikes. We must perform actions as prescribed by the scriptures. We need to discriminate as to what is good. We need to enquire as to what actions are advocated by the Vedas. Even if we do not understand all this, if we perform our actions willing and thinking that we are performing sacred actions, with our heart as our witness, then these very actions will become sacred. What is the scientific meaning of the Ardhanarishwara principle? Students in this modern age should understand the scientific meaning of the Ardhanrishwara (see note below) principle. No scientist is explaining this concept elaborately and clearly. One must enquire into the similarities that exist between the Ardhanrishwara principle as talked about by the ancients and the terminologies and key words used by modern scientists. There are many more such similarities. Every object is made up of atoms. In every atom, there are two types of energy particles – protons and electrons. The electron is referred to as Vama bhaagam, i.e. the left side and the proton is referred to as Dhana bhaagam, i,e. the right side. Electron is the feminine principle, while proton is the masculine principle. The union of these two constitutes the form of every object. The union of these two represents the Ardhanarishwara principle. It consists of the feminine principle and the masculine principle. Ardhanarishwara means half man and half woman. Therefore, electron is the feminine principle and the proton is the masculine principle. When the two unite, it takes the form of the atom. Every object in this world is the very form of the atom. Thus the ancients of the yore concluded that this entire world is the very form of Ardhanarishwara. Note: Ardhanarishvara represents the synthesis of masculine and feminine energies of the universe (Purusha and Prakriti) and illustrates how Shakti, the female principle of God, is inseparable from Shiva, the male principle of God. The union of these principles is exalted as the root and womb of all creation. What are the 3 Yogas - Tarakam, Sankhyam and Amanaskam? It is very difficult to know the different levels prescribed by Vedanta. The entire Vedanta may be summed up into three Yogas. More than anything else, we need to understand these three most importantly. Students must listen with great attention. These three (Yogas) are the most significant things that we need to know (in Vedanta). The first one is Tarakam, the second one is Sankhyam and the third one is Amanaskam. These three are the goals, the end and the essence of Vedanta. What is the meaning of Tarakam? Khechari, Bhoochari, Madhyama...(these are five mudras or hand gestures called Khechari, Bhoochari, Madhyama, Shanmukha and Sambhavi – please see note at the end for details). Many people interpret this in their own ways. Tarakam consists of five Mudras (hand gestures or pose) – Panchamudras. One should clearly recognize the principle of these five Mudras (hand gestures or pose), investigate into them, examine them, experience them and then put them aside with the understanding that they are not truly necessary. Thereafter, to have the Darshan (vision) of Naada (principle of sound) and Bindu (point of energy), to experience the Hamsatatava (Hamsa principle – So-Ham: I am He) of Divinity and to experience the supreme principle of Sat, Chit and Ananda in this world, is called Tarakam. Merging the human mind in the supreme principle embodied as Sat Chit Ananda and total wisdom is called Tarakam. It is to concentrate the mind on it (Sat Chit Ananda). The second Yoga is Sankhya. Sankhya means the Panchendriyas (five senses – eyes, ears, tongue, nose and skin), Panchapraanas (five life breaths – Prana, Apana, Vyana, Udana and Samana), Panchabhootas (five elements – ether, air, fire, water and earth), Panchakoshas (five life sheaths – Annamayakosha, Manomayakosha, Praanamayakosha, Vijnaanamayakosha and Anandamayakosha – food, mind, life, wisdom and bliss), Manas (mind), Buddhi (intellect), Chita (awareness), Antahkarana (inner instruments) / Ahamkaara (ego) and Jeeva (life). When all these join together we have 25 principles. Examining each one of them, and realizing that I am not any of these, and discovering the fact Neti, Neti, Neti...I am not this, I am not this, I am not this and thus giving up these, being convinced that one cannot understand the Atma Tatva with the help of these, and further, understanding the transcendental principle of Sat, Chit Ananda, and recognizing that this is none other than the Atma and finally realizing that the Atma is verily me is Sankhya. This is called Sankhya Yoga. It means a thorough enquiry of the external and the internal senses. The third one is Amanaska. What is Amanska? It is to consider that this entire world of five elements that is seen by us is verily Brahma and none else. There is no second. This is called, “Ekam Eva Adviteeyam Brahma”. Brahma is only one, not two. The entire creation is Brahma. There is no second object at all. In that state, there is no mind also, to think. Only when there are thoughts and counter thoughts, we find an infinite world. When that infinity becomes unity or one, there is no mind at all. Whatever is seen is Brahman. Whatever is heard is Brahman. Whatever is thought is Brahman. Whatever is spoken is Brahman. Whatever is done is Brahman. Wherever you walk, it is Brahman. Therefore, when everything is full of Brahman, there is nothing called the mind. Only if there is a second entity, thoughts and counter thoughts arise. The state is called Amanaska as there is no scope for thoughts to arise. That is, it is a state of no mind (withdrawal of the mind). At this stage, love alone exists. That love is verily Truth. Truth and Love both are one. The entire world becomes null and void when Truth and Love unite. Why is information of our past life hidden from us? We should never worry about the past. Nor should we worry about the future. The future is not known to us. It is hidden in the womb of time. The past will never return again. Therefore, we must recognize the present situation. King Janaka started performing a unique and great Yajnam (fire sacrifice). Many Pundits (scholars) came to participate in this Yajnam. The great scholar Yajnavalkya also came to participate in the Yajnam. Yajnavalkya propagated his message based on the Shastras (scriptures) and the Puranas (mythology). There was an extended conversation between Yajnavalkya and Gargi (a renowned woman scholar). In these arguments / debate, each one was trying to excel the other. Yajnavalkya demonstrated that the Divine Atmic principle that exists in all the three times – past, present and future, is present in every being. Based on this conversation, Janaka put forth a question. He asked, “Punditji (O scholar), who was I in my last birth?” Yajnavalkya thought for a while and then said, “King, it is not appropriate for you to ask this question. This is not good for you. Past is past. Forget the past. What is the use of worrying about the past?” However, King Janaka replied, “No, No, I have an intense desire to know my past”. Yajnavalkya made all attempts to suppress this question and make the king forget this question. Finally, Yajnavalkya said, “King, this (knowledge) will bring great danger to you in the future. It is not to be told (revealed)”. King Janaka was stubborn. He said, “Pleasure is an interval between two pains. Happiness lies between two difficulties. I am ready to face any difficulty, but my doubt / query has to be clarified”. Everything happens for our good. Whatever God Wills, we must understand that “everything is good for me”. In this world, no work that arises of God’s Will is bad. You consider something as good or bad based on the impact of the situation and circumstances. But in God’s vision there is nothing bad at all. Therefore, God’s Will is most noble. It is sacred. Though in the present it may be painful, in the future it will lead to stable happiness. Finally, Yagnavalkya could not escape from giving the reply. He said, “King Janaka, I am ready to reveal who you were (in your last birth). But this, to some extent, will lead to problems in the future. In the past life, Sunetra, who is now your wife, was your mother. You were her son. You were born from her womb. In this life, she is your wife. Sunetra who is your wife now was verily your mother in your last birth”. King Janaka prostrated to Yajnavalkya. He said, “My will is same as God’s Will (my thought is prompted by God). Your reply is also God’s Will (prompted by God). Everything is God’s Will. Mind is a bundle of thoughts and counter thoughts. Everything is for our good”. Saying so, he left his wife Sunetra immediately. Regarding her as his mother, he prostrated before her. He said, “Because I discovered this truth, I was able to undergo this transformation”. From then on, King Janaka became a Jnaana Yogi, a Raja Yogi. Raja Yogi means the one who is the king of all the Yogas. There is none above him. Therefore, in some situations there are few who consider everything as good and feel happy. There are others who consider everything as bad and feel sorrowful. Happiness and sorrow are mere effects or states of the mind. We must develop the spirit of equanimity that can recognize both pain and pleasure as equal.